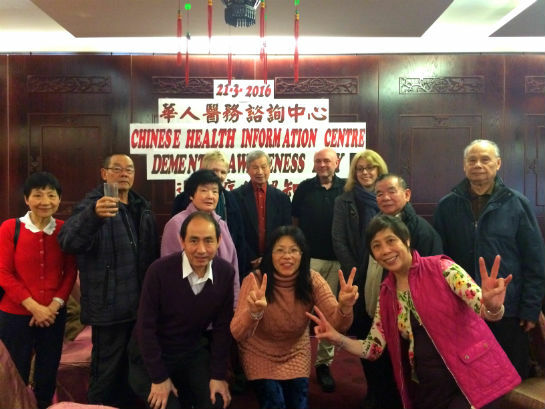 CHIC and Yours Tung Sing jointly organized a dementia awareness health day in Yang Sing Restaurant. 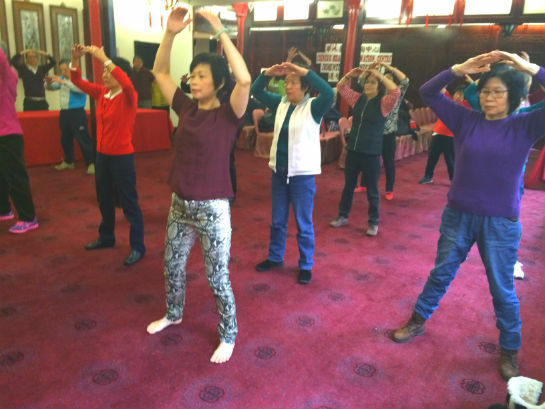 The event started with a Tai Chi session, followed by the first speaker Rebecca Trower- Dementia Support Worker from Trafford. She gave an introduction to Dementia in English. 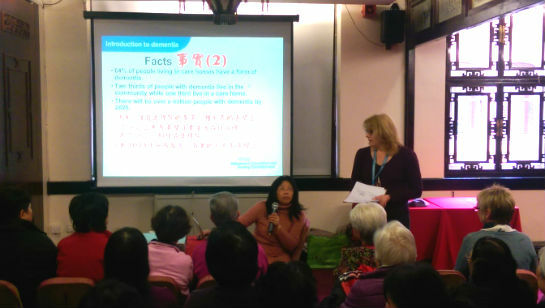 She explained the symptoms, causes diagnosis, treatment and prevention of Dementia. Then Jane Rennie presented ‘Support for Carers of people living with Dementia’. She gave information on how to support carers with dementia including support groups and home visits. There was a Q & A session after the presentation. Shirley He interpreted in Cantonese for the two talks. In the afternoon, free health checks were provided. In total 49 people attended (39 (80%) females and 10 (20%) males). 30(61%) attendants came from Manchester areas and 19(39%) came from Greater Manchester areas.